Surrey Alumni and Philanthropy | Official blog from the University of Surrey’s Alumni and Development Office. Connecting Graduates to the University, fellow alumni and current students. 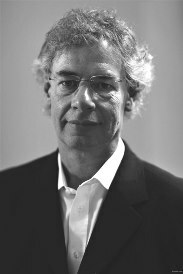 Renowned drummer and co-founder of progressive rock band Yes, Dr Bill Bruford is also an alumnus of the University having gained his PhD in Music in 2016 after retiring from public performance in 2009. 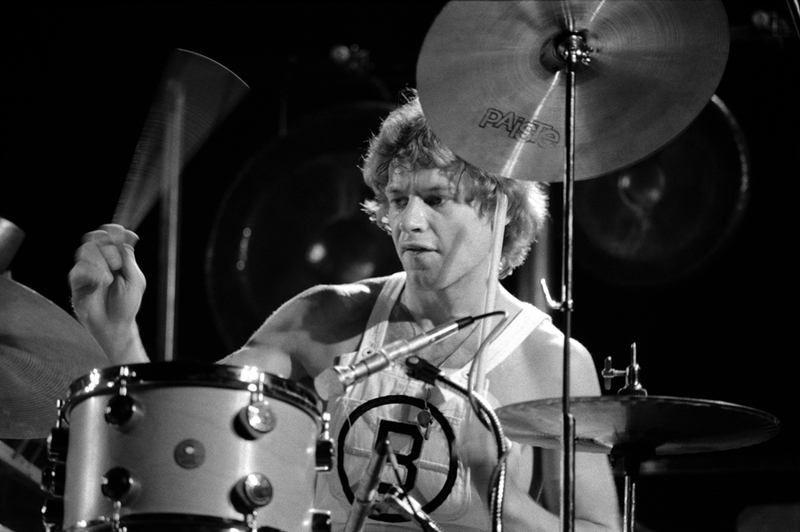 In his previous life as a performer, Bill also collaborated with the World Drummers Ensemble, King Crimson, the New Percussion Group of Amsterdam, Ralph Towner, Django Bates, Tim Garland, the Buddy Rich Orchestra and the late Allan Holdsworth. He was inducted into the Rock and Roll Hall of Fame as a member of Yes in 2017. Bill is now an academic author, writing journal articles, book chapters and books, in between lectures at academic institutions in Europe and North America. Why did you decide to study for your PhD? Having survived professional music-making for 41years, I was looking for change, but in a related area. I began with a personal question born of lived experience, which rapidly became a more interesting topic area surrounding creativity in music performance. I wanted to step back out of performance and ask some broader questions about what performers do, why they do it, the degree of creativity – if any – in their activities, and how such creativity – if any – might inform future practice. To a large degree my studies, and a subsequent book, helped explain some personal issues while shedding light more broadly on the ‘how’ and the ‘why’ of creative music performance. Why did you choose Surrey? Location had a lot to do with it: Surrey is my local University. As a Surrey resident, the institution was in a position to offer me an Honorary Doctorate, but I thought I’d better do some work first to deserve it. I had previously used the recording facilities and attended events at the Performing Arts Centre (PATS), and was impressed by the warmth, friendliness and high level of technical competence within the recording and music community. As a mature student, how was the experience? I attended Leeds University in 1968 but was unable to complete a degree course, so my arrival at Surrey 43 years later had an element of unfinished business. One or two things had changed! There was a very steep learning curve. The experience is all consuming and I was fortunate indeed to have few other commitments. My admiration is for candidates who may be in employment and running a family at the same time as doing a PhD at the kitchen table. Do you have any particular or favourite memory of studying here? My encounters with my supervisors Prof. Allan Moore and Dr. Milton Mermikides were never less than fascinating. I had never been in the presence of that level of erudition for a sustained period. As (probably) the oldest student on campus I was gratified to note that the lived experience I brought to my area of enquiry was valued in lieu of the missing undergraduate degree by faculty members and other students alike. This I took as indication of flexibility and acknowledgement that further work is needed in building bridges over which information may better flow, in both directions, between academic and practitioner in the domain of popular music performance. They certainly have much to give each other. What drew you to the drums? Probably, as a young teenager, the playing of the great U.K. and U.S. jazz musicians I saw every Saturday in black and white on BBC TV’s Jazz 625 in the mid-1960s. Of course the power and control of the individual drummer at the back was in itself irresistible, but also the mystery of how these people in jazz never seemed to put a foot wrong, when they were making it up as they went along. How was that possible, when all the other musicians l knew seemed to need paper before they could or would play anything? If you hadn’t been a professional musician, what other career would you have pursued? I would probably have completed my degree in Economics at Leeds and gone into industry or commerce. There are worse fates. You’ve had a long and rich career but are there any particular moments that stand out? The arrival of the computer in my life, which I sensed would be transformative and not entirely in positive ways. The democratisation of music-making has brought an interesting new suite of problems around education, reception, and evaluation. As a late adopter and digital immigrant my area of interest remains with the messy imperfections of real-time, collocated human interaction in music generation. There are certain venues that have iconic status that most jazz musicians want to play, I think: Ronnie Scott’s Jazz Club in London, or Birdland in New York. For rock people of a certain age the list might include the Fillmore West in San Francisco in the 70s, or Madison Square Garden in New York, or the Royal Albert Hall. Having had a foot in both jazz and rock camps, It’s been a privilege to play these places with musicians and music of my own choosing. There is something about recording at Abbey Road studios in London that has an undeniable frisson, too. Occasionally a twinge somewhere near my solar plexus when I see my co-performers in action reminds me of the very close bond one forms with colleagues, but broadly I miss very little and regret less. Not one who found making music particularly easy, I was happy to put down the practice-perform-practice burden when the time came. A little distance provided a different perspective. Had I known pre-PhD what I now post- PhD, I might have charted a different course. Do you think it’s harder for musicians/bands to succeed today to when you started? Depending on your definition of success, it is now infinitely harder to attract a pair of ears. With all this abundance of music, freely available, algorithms tend to drive many ears to a narrowing rather than expanding number of tracks, for doubtless solid commercial reasons. One might argue that we already have all the music we need, and the old stuff is refusing to go away. Something to do with an overcrowded performance space. Happily my younger colleagues deal with the world as they find it, a particularly endearing quality. After a busy eight years gaining a degree, writing a book and lecturing at Universities and music institutions in Europe and the US, I’m pausing to see if I anything I’ve said or done has been of any use to anyone else. I shall position myself on the edge of the playing field and continue to look for ways to contribute.